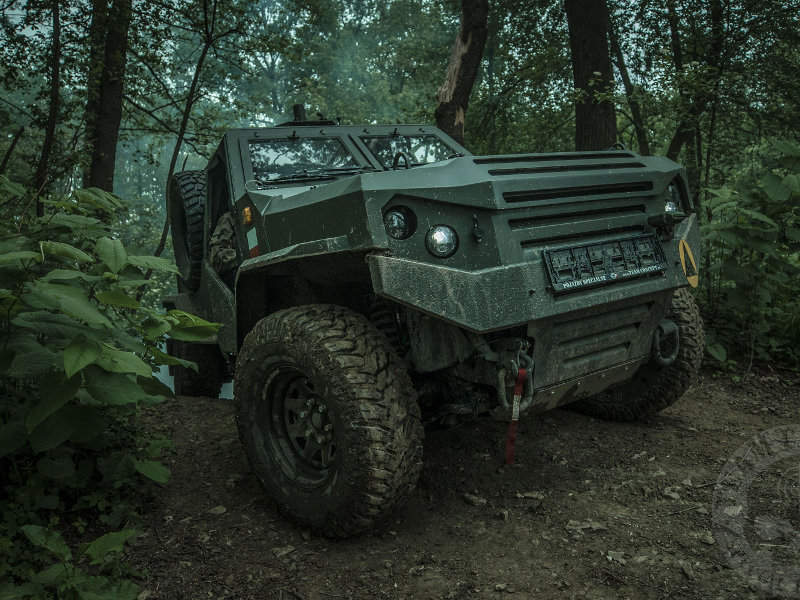 Team Concept displayed its light armoured vehicle Wirus 4 at Eurosatory 2018. Image courtesy of Team Concept. Wirus 4’s gross vehicle weight (GVW) is 2.6t to 3t. Image courtesy of Team Concept. The maximum on-road speed of the vehicle is 120km/h. Image courtesy of Team Concept. The Wirus 4 has a maximum payload capacity of 1,300kg. Image courtesy of Team Concept. The maximum road range of the vehicle is 600km. Image courtesy of Team Concept. Wirus 4 can conduct long- range reconnaissance and rapid strike missions. Image courtesy of Team Concept. 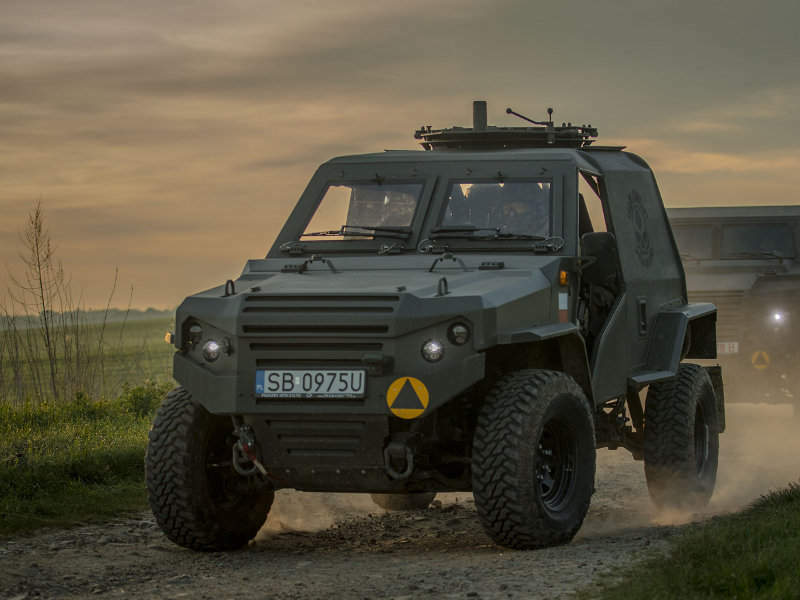 Wirus 4 LPU (Lekki Pojazd Uderzeniowy) is a new light high-mobility vehicle designed and manufactured by Team Concept, an armoured vehicle manufacturer based in Poland. 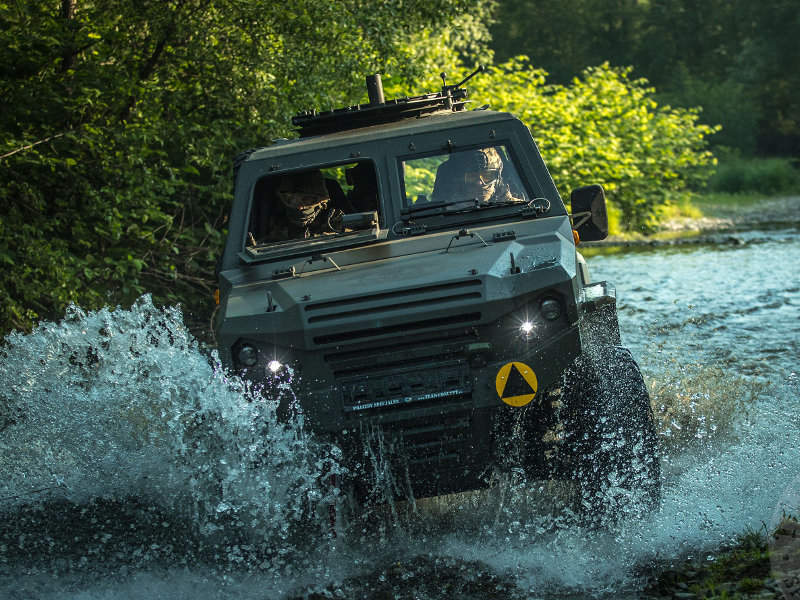 The vehicle was unveiled at the international defence and security exhibition Eurosatory 2018 held in Paris in June 2018. The vehicle is the fourth in the series of Wirus armoured vehicles. The production-ready prototype of the Wirus 4 vehicle was displayed at MSPO defence exhibition held in Kielce, Poland, in September 2017. The Polish Army signed a contract with Team Concept for the delivery of 118 Wirus 4 vehicles in September 2017. The vehicle can be deployed in long-range reconnaissance and rapid strike missions. The Wirus 4 integrates a conventional layout with the engine stationed in the front, crew section in the middle and cargo section in the rear. 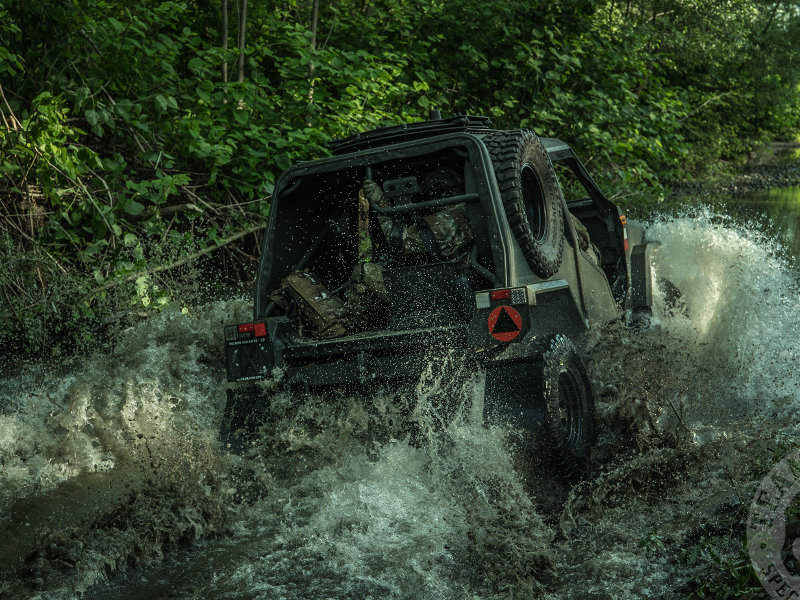 The vehicle encompasses a 4×4 wheel drive configuration. Its hull is made of high-strength chrome-molybdenum steel pipe and composite laminate fittings. The vehicle has an open structure and can accommodate up to three armed personnel onboard. It is fitted with a large windshield at the front. The open main frame without doors on the body ensures easy ingress and egress of troops. 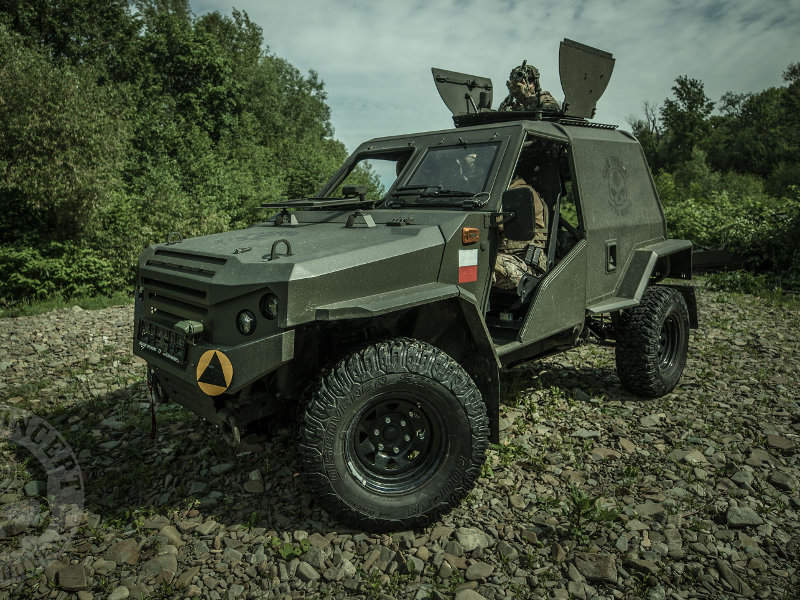 The vehicle measures 4m-long, 2m-wide and 2m-high, and has a wheelbase of 2.6m, which is higher than many other vehicles in the light armoured vehicle (LAV) segment. Its gross vehicle weight (GVW) is between 2.6t and 3t, while curb weight is 1.7t and maximum payload capacity is 1,300kg. The Wirus 4 LPU can be optionally equipped with an electric rope winch, additional weapon mounts, and equipment storage spaces. 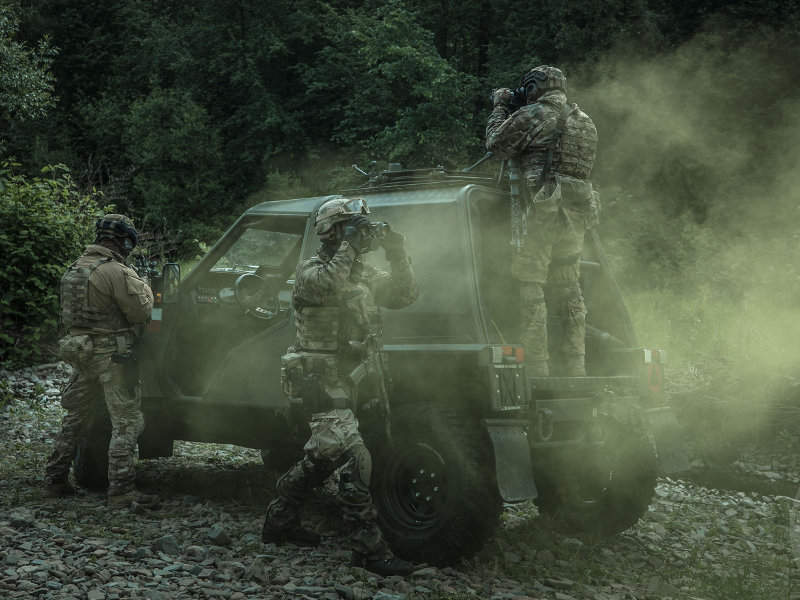 Surveillance and target tracking activities can be further enhanced by the installation of portable optronics systems such as MOST by Safran Electronics and Defense. The vehicle has in-built weapon mounts that can house 5.56mm, 7.62mm and 12.7mm caliber machine guns. It further provides individual weapon mounts for on-board crew. The vehicle can also be armed with a 40mm grenade launcher. The under-body of Wirus 4 is armoured with ceramic-aramid composite laminate. The vehicle offers protection according to Class 1 Annexure B of STANAG 4569. The LAV is equipped with a 2.4l turbo diesel engine coupled to a manual or automatic gearbox. The engine has a maximum power output of 180hp and can generate a maximum torque of 430Nm. The vehicle has a 12V auxiliary electrical system. The 4×4 transmission system is equipped with three locking differentials and a gear reducer. The front and rear disk brakes are supported by anti-lock braking system (ABS). The light high-mobility vehicle attains a maximum speed of 120km/h on paved roads and 80km/h in off-road travel. The maximum off-road range of the vehicle is 400km, whereas the on-road range is up to 600km. The fuel tank aboard the vehicle has the capacity to house 75l of fuel. The departure angle of the vehicle is 50º, while the approach and ramp angles are more than 40º. The vehicle has a ground clearance or ride height of 0.24m, which helps it to negotiate uneven surfaces. The mobility of the vehicle is enhanced by the usage of AT 315/70 R17 tyres and the double wishbone suspension system at the front and rear. Milfoam Ltd. is a Finnish company specialised in barrel cleaning solutions. Strongfield has supplied more than 250 systems to the Asian subcontinent.